The Sheriff’s Office works diligently to stretch the value of our budget by deploying personnel and equipment for the greatest benefit to our County and its citizens. Donations in the past have helped to fund purchasing a new K9, Chief for a Day uniforms, Search & Rescue supplies and other items that are critical resources necessary for local law enforcement but are not included in our county budget. EZview is a secure and flexible web tool that allows Chelan County Emergency Management to collaborate and document incidents so that it is easily viewable and accessible. 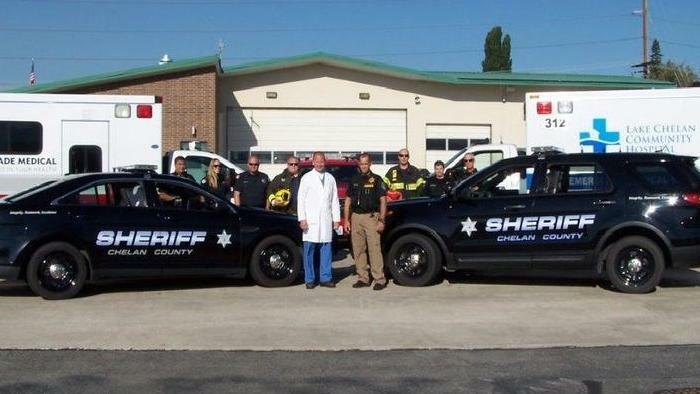 The Chelan County Sheriff's Office is requesting funding through community support with a GIVE NCW project, in order to purchase automated external defibrillators (AEDs).